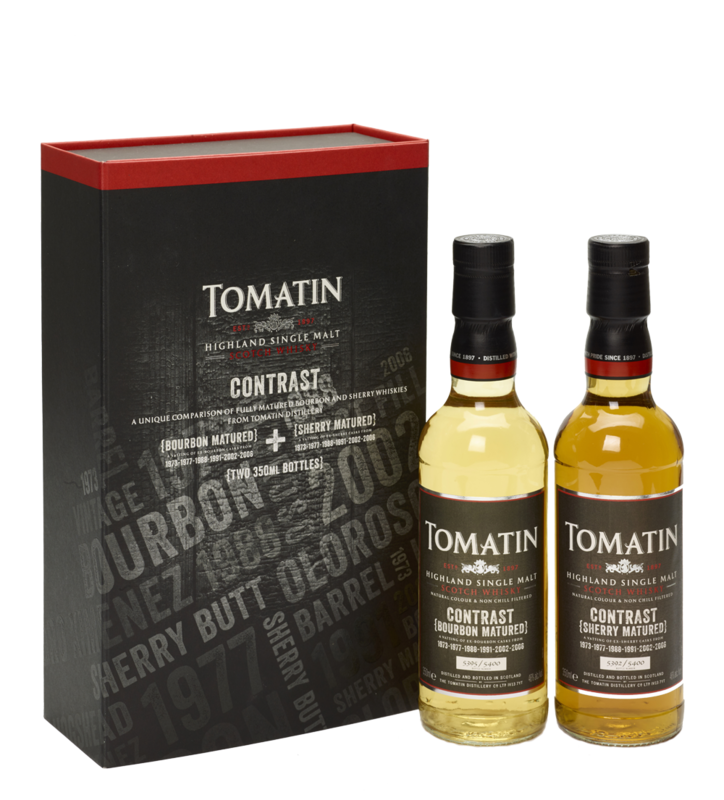 This limited release presents a unique opportunity to directly compare the effect of Bourbon and Sherry casks on whisky distilled in specific years at Tomatin Distillery; 1973, 1977, 1988, 1991, 2002 & 2006. Having selected and vatted casks from the same six years in both types of casks, our Distillery Manager, Graham Eunson, has created two incredible whiskies and an exceptional tasting experience. Golden syrup and honey. Lemon & lime. Almond and macadamia nuts, vanilla and custard. Sweet vanilla custard and lemon sponge. Pineapple chunks, raspberries and icing sugar. Toffee-apple crumble, Christmas pudding, raisins and treacle. Cinnamon and cloves, peppercorns. Thick cut marmalade.